California is seeing more than our typical drought-levels of rain this year. We have mudslides, power outages, flooding, and crazy driving conditions to prove it. The rain makes life chaotic sometimes, but it also means Live Oak campground is currently looking beautiful, green, and full of life. 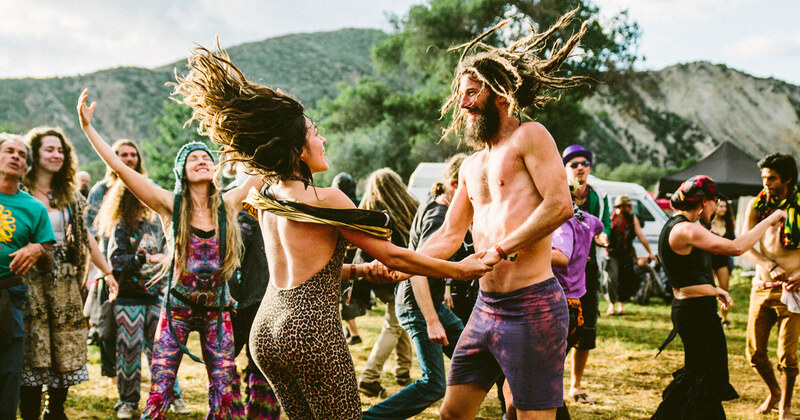 If mother nature continues to shower her love all over us then we might need to start preparing for wet and wild conditions at Lucidity this year. There’s no way to predict the weather perfectly, but I highly recommend checking out the weather forecast the weekend before Lucidity to see what’s in store for our adventure. If there’s any sign of rain then it’s time to get real and pack in your weather gear. Dane wrote an excellent article on the delicate art of not making plans. Please take his advice and leave your plans at your car, but don’t forget to do some planning before you arrive. One of the principles of Burning Man is radical self reliance, and Lucidity is a perfect opportunity to practice. 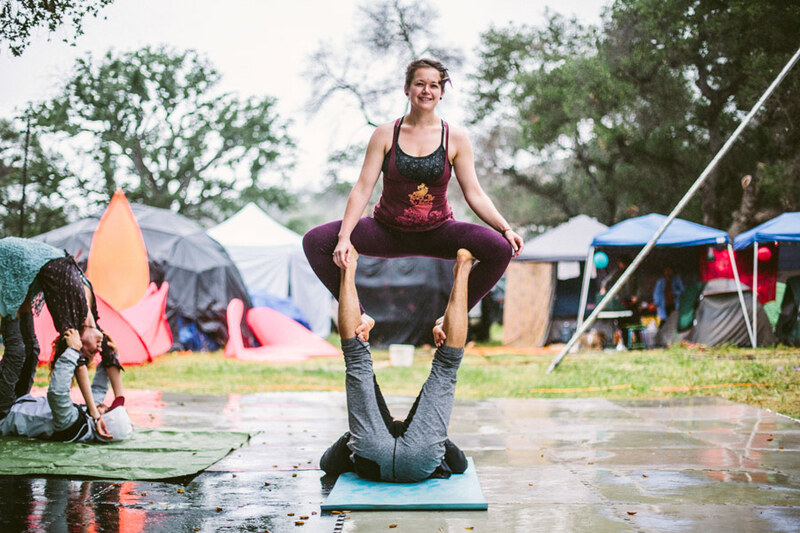 We want everyone to set themselves up for a magical and inspiring adventure, rain or shine. I grew up in Portland, so I consider myself an unofficial expert on rain: it’s cold, it’s wet, and it can bring your mood down if you don’t have the right tools. Many of you have experienced the beauty and burden of rain on your festival parade, but for others this might be your first time preparing for a muddy adventure. I scoured the internet to find other fam who’ve dealt with the rain. After finding tips and more tips, I put together Lucidity’s top 12 ways to prepare for rain. Comment below if you have a tip up your sleeve to share with the community! Weather can change drastically within 7 days. You’ll be able to get a pretty good idea of what the weather will be for Thursday and Friday, but you’ll want to check again right before you leave to find out what Saturday, Sunday, and Monday are going to bring us. Rain can stop and start suddenly so you want your rain jacket to function as just that, a rain jacket. If it’s too warm then you won’t want to wear it because it will feel like a sauna. If it’s just right then you won’t want to take it off when you don’t need to be waterproof anymore. Foot protection is key for having a good time at any festival. If your feet are uncomfortable then it can affect your entire experience. Consider getting waterproof footwear so your feet can take you everywhere you want to go. One of them can be used under your tent, but make sure it’s the same size or smaller than your tent’s footprint. If it’s larger then water can pool under your tent, and no one wants to wake up in a pool. Does your tent have a rainfly? Practice putting it on before you go to the festival to make sure it works. Missing your rainfly? You can use a tarp to cover your tent, just make sure you have a way to hold it down securely. And you’ll already have an extra because of tip #4! These serve all kinds of purposes. You can waterproof your bag by putting one over your backpack. Consider putting your wet clothes in one so they don’t contaminate your dry clothes with moisture. Maybe even bring one in your bag and put it down before you sit in the grass to keep your booty dry. Towels are made for soaking up water. I’m sure you’ll find some fun and helpful uses for them in soggy conditions. And change them often. Do we really need a reason other than “it feels great” to switch from wet to dry socks? Okay, if you want a reason then check out tip #3. 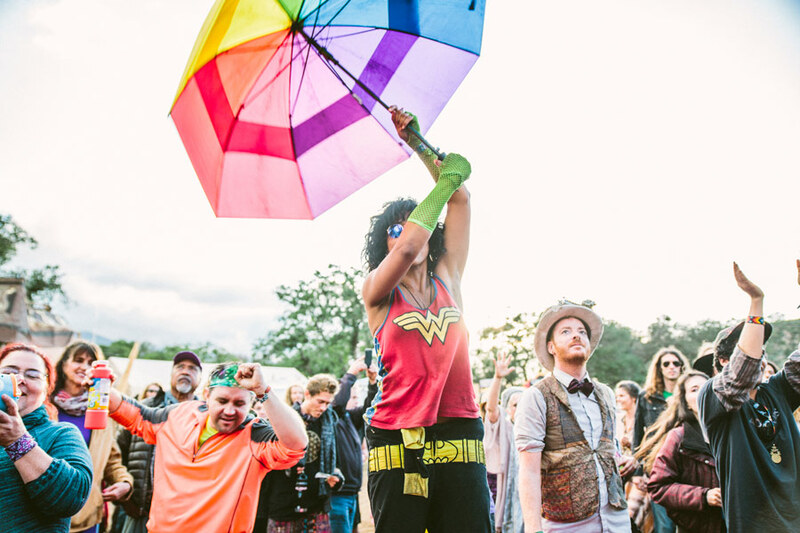 Umbrellas are great for keeping dry at camp, or taking a casual walk through merch, but they’re not as good for dancing in crowded quarters. Most umbrellas have pokey bits coming off the edges, so bring one, but put it away when you’re planning on getting your groove on. Bring your rain jacket instead (see tip #2). Rain doesn’t always mean cold. It’s wonderful to be able to take off a layer of wetness and find a new layer of dryness underneath. Everyone else is just as wet and muddy as you. Smile at a stranger. Offer a hug. Repeat your positive affirmation. We’ll make it through any challenge mother nature decides to throw at us.